The ML-x17 data logger is a small, ultra low power, cost effective data logger with built-in 2G, 3G or 4G cellular modem. This small data logger, is further provided with an internal temperature sensor, 8GB micro SD card and a 2FF SIM card slot. The data logger is available with several power provisions a/o: 3.6 Volt Lithium battery, 8..30V DC input or integrated solar panel with 3 x AA NiMH charger. The WDL-x14 is a small, battery powered, cost effective data logger with built-in cellular modem available for the EMEA, APAC and NA regions. The IP68 rated well data logger enclosure is slim enough to fit a 2" borehole and is designed to fit a prohydroinc lockable well cap. This well data logger, is further provided with a 4GB micro SD-card and an 2FF SIM-card slot. 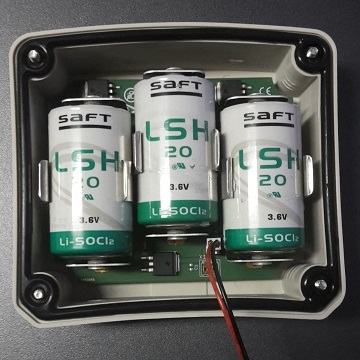 The borehole logger is powered by an internal 3.6 Volt Lithium battery (SAFT LSH20-CNR or equivalent only) that will last for years when the data logger is configured in a low power mode. The battery can be replaced by detaching the top cap, no need to remove the well data logger and sensor from the borehole. The data logger can acquire physical signals by 2 current loop inputs, 2 voltage inputs, 1 potentiometer input and 3 digital inputs. More or special inputs can be added by means of internal stackable option boards/converters. The data logger is provided with one serial port to capture measurements from ASCII, MODBUS, NMEA or SDI-12 compatible sensors. External sensors can be powered by the data logger itself, to prevent them to consume power while the data logger is a sleep. 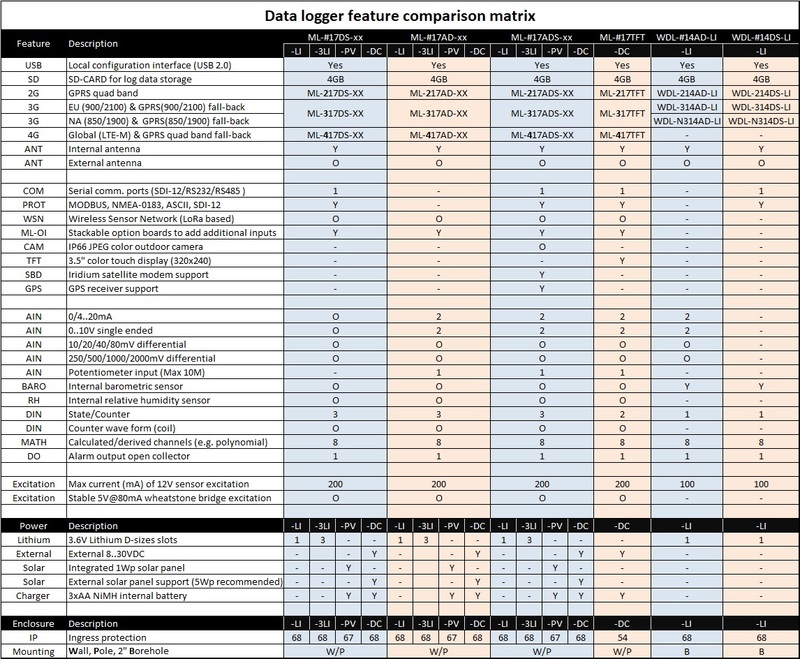 Up to 8 mathematical channels are available to calculate meaningful engineering values derived from sensor input values (e.g. a polynomial to calculate a flow from a stream level). Supports up to 8 aggregation channels (e.g. to record 2 or 10 minute windspeed averages sampled at 1Hz). The ML-x17 data logger is a small, ultra low power, cost effective data logger with built-in 2G cellular modem. This small data logger, is further provided with an internal temperature sensor, 8GB micro SD card and a 2FF SIM card slot. 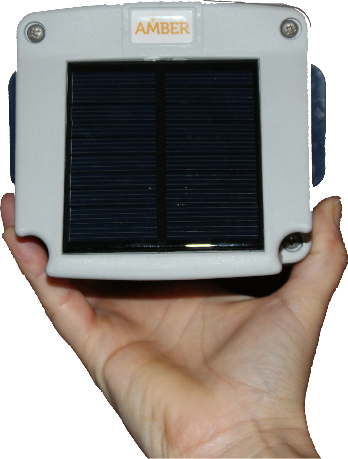 The data logger is available with several power provisions a/o: 3.6 Volt Lithium battery, 8..30V DC input or integrated solar panel with 3 x AA NiMH charger. Logged data can be pushed to a central host by HTTP(S), FTP(S), e-mail, secure TCP or MQTT at configurable intervals and optionally by satellite as well (Iridium SBD). When equipped with the integrated solar panel a complete self providing remote monitoring station can be arranged, all you need is a logger and applicable sensor(s). This self providing cellular logger is costs saving, because you don"t need: a) solar panels, b) big batteries, c) cellular modem and d) encapsulating cabinet. 8x aggregation channels, min/max, average, gust, std dev and up to 3 different percentiles sampled at 1Hz max. 60mA@3.6V average operating1) current during a duty cycle of less than 1 sec2) per log interval. 1) 60mA if no external sensors need to be powered. 2) 3) Lithium batteries not included. 4) ML-417 has no eMail abilities. The ML-317 data logger is a small, ultra low power, cost effective data logger with built-in 3G cellular modem. This small data logger, is further provided with an internal temperature sensor, 8GB micro SD card and a 2FF SIM card slot. The data logger is available with several power provisions a/o: 3.6 Volt Lithium battery, 8..30V DC input or integrated solar panel with 3 x AA NiMH charger. Option boards can be used to add additional inputs/features to an ML-x17 data logger or to perform signal conditioning. You can mechanically stack up to 3 option boards, but only one board per category ID (CID). Some boards are having a switch to choose a different CID, so you can stack multiple similar boards. Converter boards (OC) don"t have CID"s and you can stack as many OC-boards as mechanical feasible. OC-boards don"t make use of the internal control bus, but are wired to existing inputs/outputs/ports. The WDL-x14 is a small, battery powered, cost effective data logger with built-in cellular modem available for the EMEA, APAC and NA regions. The IP68 rated well data logger enclosure is slim enough to fit a 2" borehole and is designed to fit a www.prohydroinc.com lockable well cap. This well data logger, is further provided with a 4GB micro SD-card and an 2FF SIM-card slot. The borehole logger is powered by an internal 3.6 Volt Lithium battery (SAFT LSH20-CNR or equivalent only) that will last for years when the data logger is configured in a low power mode. 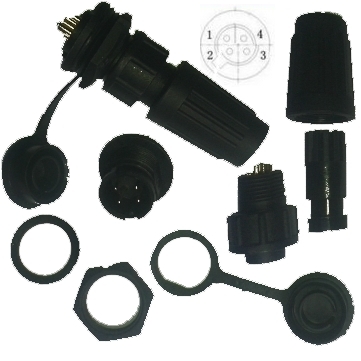 The battery can be replaced by detaching the top cap, no need to remove the well data logger and sensor from the borehole. External sensors can be powered by the data logger itself, to prevent them to consume power while the data logger is a sleep. The data logger is provided with an IP68 rated venting plug, integrated temperature and barometric sensor that can be used for compensating the readings of low cost absolute pressure level sensors. Make sure that the well cap and borehole is vented as well. 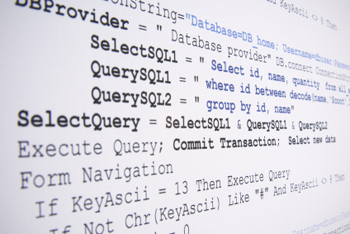 Logged data can be pushed to a central host by MQTT, HTTP, FTP, e-mail or TCP at configurable intervals. WDL-314: 3G Europe, M-East, Africa and Asia-Pacific. WDL-x14AD-LI: Can acquire physical signals by 2 current loop, 2 voltage inputs and 1 digital input. WDL-x14DS-LI: Has 1 digital input and is provided with one serial port to capture measurements from ASCII, MODBUS/RTU or SDI-12 compatible sensors. 1 second to 1 day intervals. Regular, alarm and independent intervals. 4GB micro SD-Card for data and picture storage. 1 minute to 1 day intervals. Direct push on alarm raise and fall. Derived Inputs (8x calculation channels, to derive engineering values from sensed values using mathematical operators and functions (a/o cos, sin, atan2, ln, sqrt). 2FF (Class B) SIM-CARD slot. 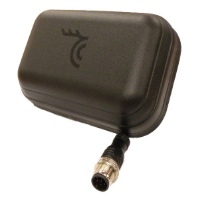 Integrated GSM antenna, external GSM antenna optional. 100mA@3.6V average operating1) current during a duty cycle of less than 1 sec2) per log interval. 250mA@3.6V average operating current during 20 to 60 seconds cellular communicaton. 12V@100mA excitation to power external sensors. 40mm bottom cap and tube diameter. 59.6mm top cap and flange diameter. 250g total weight, excluding battery. With 4 analog & 1 digital inputs (no serial port). With 1 digital input & 1 RS-232/RS485/SDI-12 port (no analog inputs). Powered from a 3.6V DC SAFT LSH20-CNR or equivalent D-size lithium battery. WDL-314AD-LI is a borehole data logger with a built in 900/2100MHz 3G modem, 4 analog inputs & 1 digital input. 1) The data logger will be supplied with a 7-pole Hirschmann female connector and a matching 7-pole male connector to be soldered to the wires of your sensor cable. 2) Due to space limitations we don’t use brass inserts and all inner threads are made directly in the polycarbonate. Polycarbonate is a very tough material, but we still recommend to not overtight screws/bolts (finger-tight is more than enough for sealing the tube). A Remote Data Terminal Unit (DTU) is a communication device making it possible to form a wireless (GPRS/UMTS) transparent communication channel between a "legacy" serial device and modern TCP (internet) enabled host software. A DTU is similar to the well known classic or cellular MODEM, but has several advantages regarding scalability, performance and operating costs. A DTU based system is more scaleable, because the host does not require multiple MODEMS to be able to connect to multiple remote locations simultaneously, in fact the host does not need a MODEM at all and can serve lots of incoming DTU (TCP–client) connections simultaneously. Data communication over GPRS or UMTS is faster and less expensive than data communication over GSM. Our DTU (sometimes refered to as RTU) is not a separated product, but an integral part of our ML–215/ML–315/ML–2013 Low Power Data Logger functionality. Because our Data Loggers are low power and self sustaining, the RTU function can be used to monitor "legacy" serial devices at remote locations with no access to a power grid or external power source. The RTU function can be programmed to wake–up at a regular interval or on alarm (e.g. an external digital interrupt). At wake–up the DTU switches on the power to the serial device, connects to the TCP–server and forms a transparent serial data channel between serial device and host (TCP–server). The transparent channel will be broken after expiration of a certain timeout or when the host drops the TCP–connection. After braking the transparent channel, the DTU will remove the power from the serial device (to prevent the device consumes power unnecessarily) and returns to low power sleep again. Mobile connected internet devices have fixed IP–addresses seldom and most legacy serial devices don’t have a provision (in their protocol) to uniquely identify them selves. Obviously a host (TCP–server) wants to know where the connecting DTU (TCP–client) originates from and to assist the host to determine it, the DTU can be configured to send an identification string first before forming a transparent communication channel. When no analog sensors have to be monitored, an ML–x15DS will be the most cost effective choice. 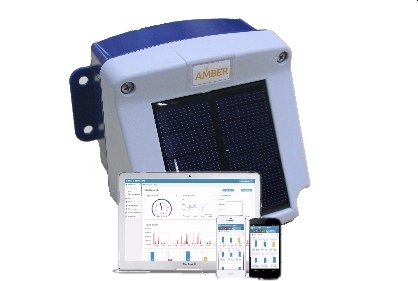 An ML–x15DS is suitable for outdoor use and when equipped with the integrated solar panel a complete self providing remote monitoring station can be arranged, all you need is the ML–x15 and your serial device. This self providing DTU is costs saving, because you don’t need an external solar panel, big battery or GSM MODEM. The ML-COVER-3LI is equipped with D-size holders to host up to 3 Lithium SAFT LSH20 batteries safely, with a combined lossless capacity of 39000mAh. The ML-COVER-3LI is a replacement cover for our ML-x15 off-grid 3G/GPRS data loggers. Although our off-grid data loggers are designed to be as low power as possible, running it from just one single Lithium battery, due to the power demand of mobile communication, has its limits. If you have an application requiring 1 or 2 remote data updates each day a single battery powered data logger can run for years. 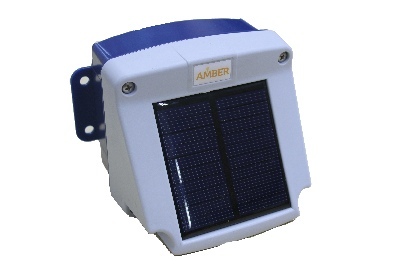 When you need multiple remote data updates each day, then our data logger with tiny integrated 1Wp solar panel has proven to be a very suitable solution, assuming the data logger can be mounted outside facing the sun. If for obvious reasons a solar powered solution is not possible, then you could consider the use of a lithium battery pack. This is however something to consider with caution! Lithium batteries are having a high energy density and when used without caution, they can turn into dangerous devices. If you put multiple Lithium batteries with all having the same state of charge in parallel, then it could work, but using it like that is strictly discouraged by the battery manufacturer. The common save way to put batteries in parallel is by using diodes, but they come with a price. Although battery capacity is specified in mAh’s, it stores energy (mWh’s) and the diodes will dissipated a serious portion of this precious energy. The nominal voltage of a SAFT LSH20 is 3.6V@2mA, but during data logger operation load the voltage drops to 3.5V. A Shottky diode has a forward voltage of 0.3V, so a single diode will dissipate 8.5% of the stored energy. And because the voltage towards the logger drops, the electronics need to draw at least 8.5% more current to compensate the voltage drop. So using diodes will virtual reduce the capacity of a battery by almost 20%. When placing two Lithium’s (with two diodes) in parallel, the capacity increase will be about 65% instead of the expected 100%. The solar energy industry is experiencing the same kind of problems as blocking and by pass diodes are causing significant system losses. The semi-conductor industry reacted by developing a so called “smart diode”. A “smart diode” is a chip containing comparators, a FET and a regular diode. When the input voltage is lower than the output voltage the FET will not conduct, the battery will not contribute to the energy demand and the regular diode will block the possible reflux from other batteries. When the input voltage is higher than the output voltage, the FET will start to conduct and the battery will contribute to the energy demand. The forward voltage over the FET is just 26mV instead of 300mV. The ML-COVER-3LI is making use of such “smart diodes” and having three D-size battery holders. You can choose the insert one, two or three Lithium batteries to reach a combined capacity of 39000mAh. When even more capacity is required, multiple boards can be arranged in parallel as well. 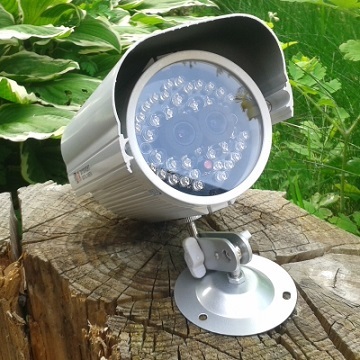 The CAM-x0.3M is a low power weatherproof camera that can be connected to an ML-x15ADS-PV or ML-2013.html data logger. 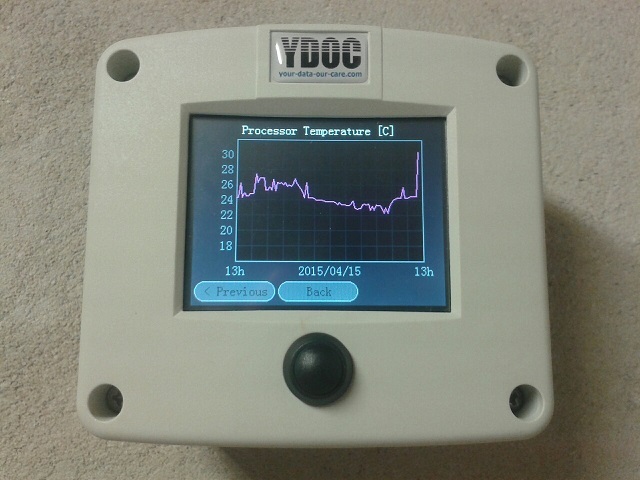 The data logger can be configured to record snapshots at regular intervals (e.g. once or multiple times per day) and at alarm raise and fall conditions (e.g. at flooding a river) As we are acting in the low power domain, our camera solution has to be low power as well! Therefor remote streaming of video or taking super hires pictures at high speed is beyond the goal of our solution. The data logger can deliver the JPEG pictures in your e-mail box or to an FTP-server. The JPG pictures can also be transferred as "Digital Assets" to ydocInsights. The CAM-B0.3M is provided with IR LED"s to be able to take B/W pictures at night as well as color pictures during daylight. The camera has only one (IR) lens and therefore the colors are deviating from the real colors, please consider the CAM-C0.3M camera if true colors are required (bad pictures when dark). Our data loggers can be configured to take pictures during a specified daily time bracket only (e.g. 07:00AM to 20:00PM or 21:00PM - 06:00AM) The CAM-x0.3M is meant to monitor objects at close distance and has a 90° angle of view and a night vision of max 5m. We recommend our CAM-D1.3M camera for monitoring objects at further distance. The CAM-x0.3M can take pictures up to 640x480 pixels. Taking a 640x480 picture draws 2.5mAh from the batteries, please use our online Data logger power consumption calculator to estimate the battery life of your application. 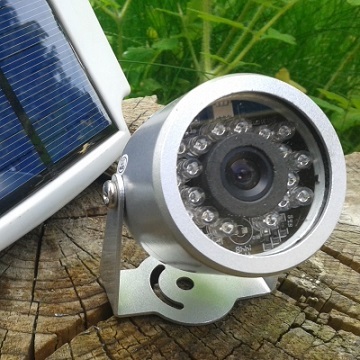 The CAM-D1.3M is a low power weatherproof camera that can be connected to a solar powered ML-x15ADS-PV or ML-2013-PV data logger. The data logger can be configured to record snapshots at regular intervals (e.g. once or multiple times per day) and at alarm raise and fall conditions (e.g. at flooding a river) As we are acting in the low power domain, our camera solution has to be low power as well! Therefor remote streaming of video or taking super hires pictures at high speed is beyond the goal of our solution. The data logger can deliver the JPG pictures in your e-mail box or to an FTP-server. The JPEG pictures can also be transferred as "Digital Assets" to ydocInsights. The CAM-D1.3M has a image sensor and lens for taking color pictures during daylight and an sensor and IR lens to take B/W pictures at night. The CAM-D1.3M has a 45° angle of view and a night vision of max 20m. We recommend our CAM-x0.3M camera for monitoring objects at close distance. The CAM-D1.3M can take pictures up to 1280x1024 pixels. Taking a 1280x1024 picture draws 8.5mAh from the batteries, we recommend to use our online Data logger power consumption calculator to estimate the battery life of your application. The Iridium ITAS-5SP with embedded antenna has global data coverage and is a very suitable satelitte transceiver for low power data logging applications. The ITAS-5SP can be connected to and powered (5VDC) from the accessory port of the ML-x15ADS data logger. The satellite transceiver can be deployed as the data logger"s main communication device or as backup in case the 2G/3G network is temporarily unavailable or out of reach. When used as main communication device the data logger will transmit at regular intervals an SBD (Short Burst Data) message with the most recent aqcuired measurement values from the connected sensors. When used as a backup device it will only transmit an SBD message with recent aqcuired measurement values if the 2G/3G network is temporarily unavailable or out of reach. Historical logged data, not yet transmitted, will be transmitted as soon as the 2G/3G network becomes available again. This backup function could be very interresting for traveling data logging applications. SBD messages are transmitted to an Iridium server (GSS: Gateway Short Burst Data Subsystem) and you can ask Iridium to pass SBD messages to an e-mail address or directIP to your or our server running ydocInsights or your own data collection software. We don"t supply the ITAS-5SP, but when ordering at your local Iridium supplier, make sure you order the 5V version (ITAS-5-SP or HIRD-SX-0130x-01). Click here for specifications published by Iridium. The GPS-E3329 with embedded GPS antenna is very suitable GPS receiver for low power data logging applications. The GPS-E3329 is based on the high performance features of the MediaTek 3329 single-chip architecture and has a "Fast time to first fix", which is obviously a very important property in low power data logging applications. The GPS-E3329 has an excellent -148dBm acquisition sensitivity, it can track 22 channels with a -165 dBm sensitivity, it supports common GPS as well as AAS/EGNOS/MSAS and GAGAN. 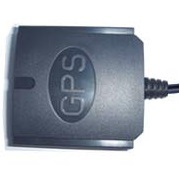 The GPS-E3329 can be connected to the accessory port of an ML-x15ADS or to one of the RS-232 ports of an ML-2013 data logger. Both loggers are having a 5V switched excitation output to only power the GPS-E3329 when its necessary to acquire a GPS position. The data logger can be configured to acquire position info at regular intervals (e.g. once or multiple times per day) and to save power, the GPS logging interval can be set independently of the normal data logging rate. Recording a position draws 0.45mAh from the batteries, please use our online Data logger power consumption calculator to estimate the battery life of your application. The PBM is a pole mounting bracket made of tough UV-resistant polycarbonate, which is better than using a metal bracket as the metal can have a negative impact on the performance of integrated antennas (poor antenna performance causes more power consumption). 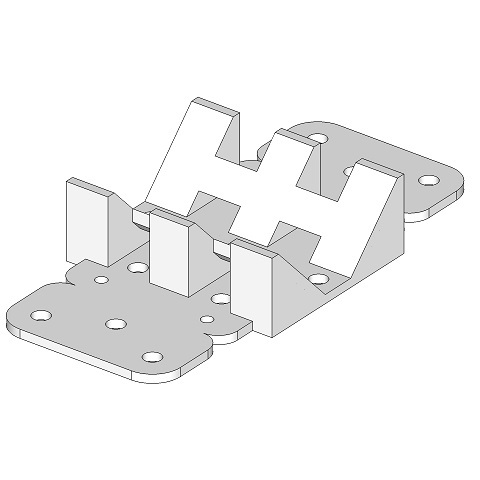 The bracket is excluding mounting accessories like clamps, nuts, bolts and washers. 1) The calculations are taking the deterioration of the solar panel and rechargeable batteries already into account. In case of using our solar panel, use LSD NiMH rechargeables with a capacity of at least 2000mAh only (We advise GP-Recyko). 2) The 60° slope of our 1Wp solar panel is an optimum to get through the darkest months in Northern Europe. Outside the tropics you need to face the panel to the equator, inside the tropics you need the face the panel eastwards (Azimuth = -90º) or westwards (Azimuth = +90º). 3) Please consult the PV yield estimator for Europe or Africa & Asia to determine the daily full sun hours (Hd) at the optimum Azimuth for our 60º sloped panel in your region. If your region is outside Europe or Africa, choose a matching GPS latitude in one of the maps. 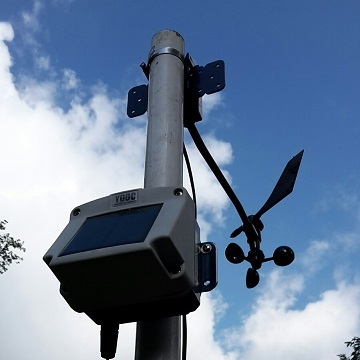 You can arrange a really low power and cost effective remote automated weather station by combining meteo sensors of your favourite brand with our ML-x15AD(S)-PV 3G/GPRS data logger with integrated solar panel. The arranged AWS is very cost effective because all you need is our reasonably priced data logger and applicable meteo sensors of your choosing, you don"t need a big solar panel, big battery, charger or encapsulating cabinet. Common parameters monitored by an AWS are: Air temperature, humidity, barometric pressure, precipitation, wind speed and direction. Air temperature, humidity and pressure are relatively slow rising and declining parameters and recording their instant values every 5 or 10 minutes is enough for weather monitoring that does not have to be in compliance with strict (governmental) regulations. To preserve power, the data logger will power the sensors during sampling only. The sensors of your choosing can be connected to the analog inputs or SDI-12 interface of the data logger. Precipitation can be recorded by connecting a classical tipping bucket rain gauge to one of the digital inputs of the data logger. Counting bucket pulses draws negligible power from the data logger"s internal batteries. The data logger records rain intensity, quantity and cumulative quantity. Wind is a very fluctuating subject and an accurate impression can not be given by taking a sample once a while, it requires continues sampling. To maintain low power consumption you have to pick your wind sensors with care as you have to choose sensors that draw negligible power from the data logger"s internal batteries. For wind speed you have to choose a classical powerless anemometer with magnet(s) and reed switch output, where each revolution of the anemometer causes one or multiple reed switch closures. The reed switch output can be connected to one of the digital inputs of the data logger. The data logger can sample the wind speed at 1Hz and record aggregated values (average, minimum, maximum, gust and standard deviation) every data log interval (e.g. 2 or 10 minutes). For wind direction you have to choose a classical windvane with potentiometer output, which can be connected to the resistance input of the data logger. The data logger can sample the wind direction at 1Hz and record aggregated values (average, minimum, maximum and standard deviation) every data log interval (e.g. 2 or 10 minutes). Note 1: The higher the potentiometer resistance, the lower the power consumption. To decrease consumption you could consider to add resistors in series with the potentiometer of the wind vane (one in the ground wire and an equal one in the excitation wire to the windvane). Adding a resistance equal to the wind vane"s potentiometer, will decrease the windvane"s consumption by 50%. Its preferred to have a total resistance of at least 3k Ohm. 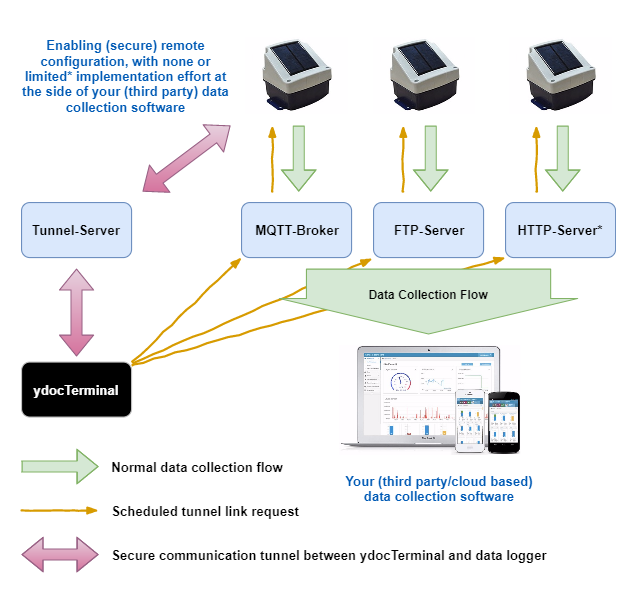 When a user wants to configure a data logger he can use ydocTerminal to schedule a "side path" connection by sending a request to the same MQTT-broker, FTP-server or HTTP-server as used by the data loggers and their data collection software. After a data logger has performed its regular scheduled data transfer, it will get/read the request from the broker/server. Note: Both the data logger and the PC running ydocTerminal should use NTP time synchronization. Within ydocTerminal click: File->New->Schedule a remote connection. Specify the S/N of the data logger you want to configure and when you think it’s a convenient moment to configure the logger. Obviously: A tunnel cannot be established before the next scheduled data transfer interval of the data logger. A tunnel can only be established if ydocTerminal is running at the scheduled moment. When running, ydocTerminal will pop-up a terminal window a few minutes before the scheduled moment. User/Password: The same credentials as used by the data logger as they are a/o used in the encryption keys. Tunnel Server Properties This is the Server servicing the secure and encrypted channel between data logger and ydocTerminal. Standard our server is used (tunnel.your-data-our-care.com), don’t worry we can’t eavesdrop your data as the communication is ‘Peer-to-Peer’ encrypted by security keys not know to the tunnel server. If having doubts, please feel free to run your own tunnel server, please ask our staff how to do it.